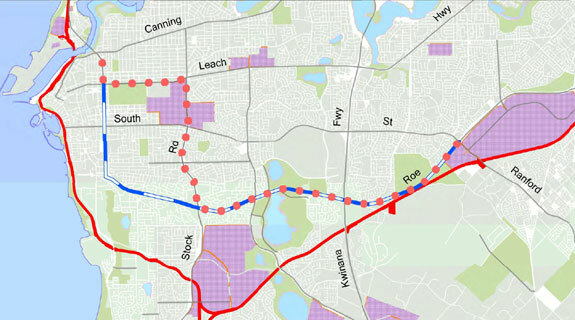 The proposed route (dotted line) for the Roe 8 extension. A proposed extension of Roe Highway in Perth’s southern suburbs has received conditional approval by Environment Minister Albert Jacob. Well done. This is a decision for the sensible and forward thinking people in the community and a vote for progress.